We’ll be sharing the building with many of Portland’s finest. 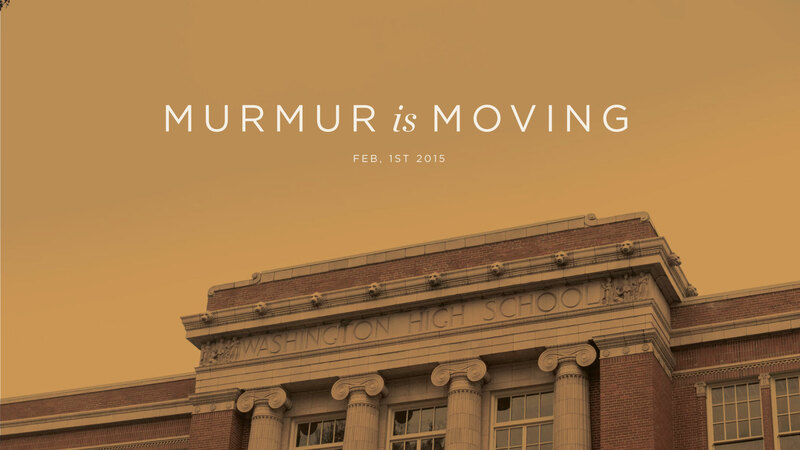 New Seasons is making Washington High School their corporate headquarters, and other creative agencies like Struck Inc, Copious, and Walker Tracker, are moving in as well. Located on SE Stark, just a few blocks from our current office, Washington High School will be a perfect fit for our growing agency. Besides being twice the size as our current accommodations, the new office will have a conference room, photo studio, and kitchen–amenities we have been sorely missing. Washington High School was an operational from 1906 until 1981 when it closed down. It’s a beautiful building, with giant open hallways, high ceilings, a roof deck, and tall windows. Historic features of the school have been preserved, such as chalkboards, lockers, and the auditorium seats. Oh, and here’s a pic of us sitting at an invisible conference table in our new conference room (before it was built). One of the most exciting aspects of Washington High School is the venue at the center of the school. The High School auditorium will be home to a fantastic new venue called Revolution Hall with seating for over 850 people (run by Mississippi Studios). Needless to say, we’re thrilled to be moving in this February. Be sure to stop by so we can give you a tour of our new digs!